CHARLOTTE ALLSTARS FALL HOMESCHOOL OPEN GYM DAY! 2 DAYS LEFT FOR 2017! 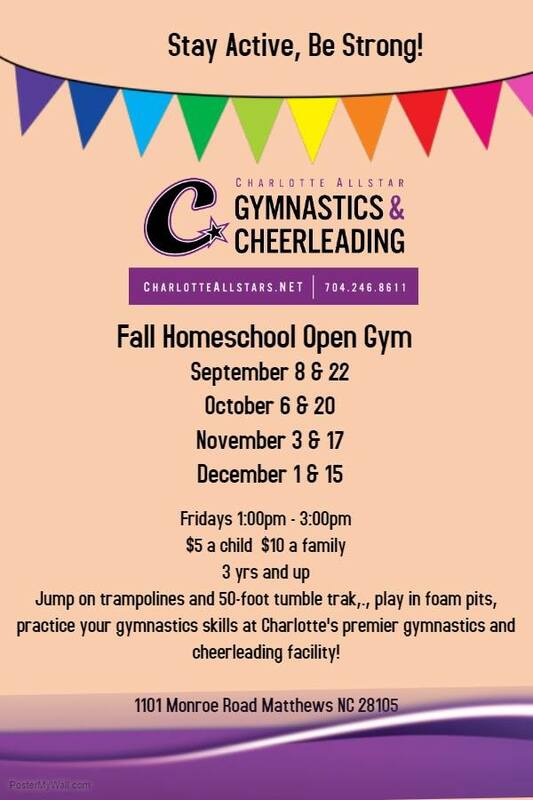 Jump on trampolines and 50 ft tumble rack, play in foam pits...practice your gymnastics skills!